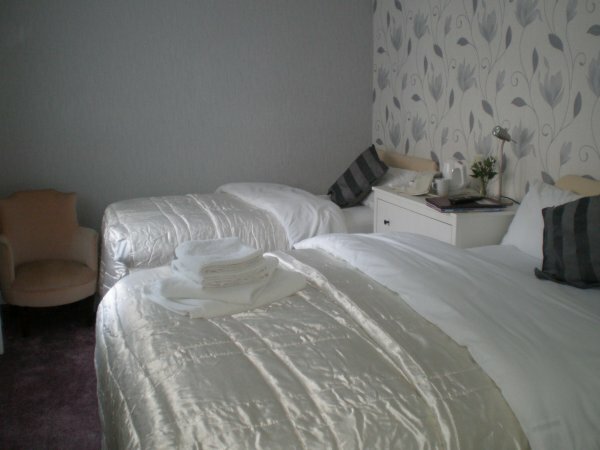 Room 9 is a well proportioned triple room on the first floor. 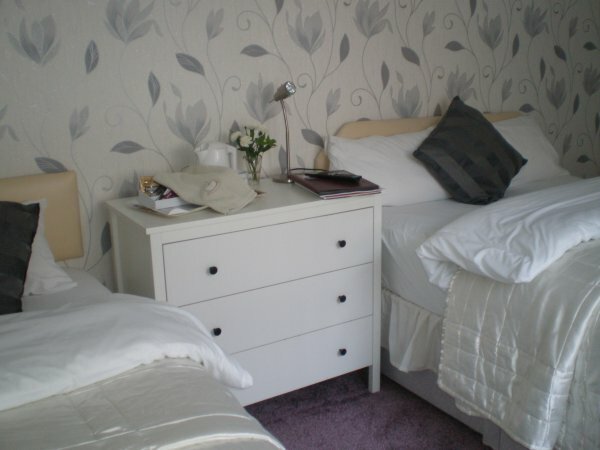 It comprises of a comfortable double bed and a very nice single bed, plenty of wardrobe and cupboard space, a hair dryer, and a remote control TV with built in free view and DVD player. 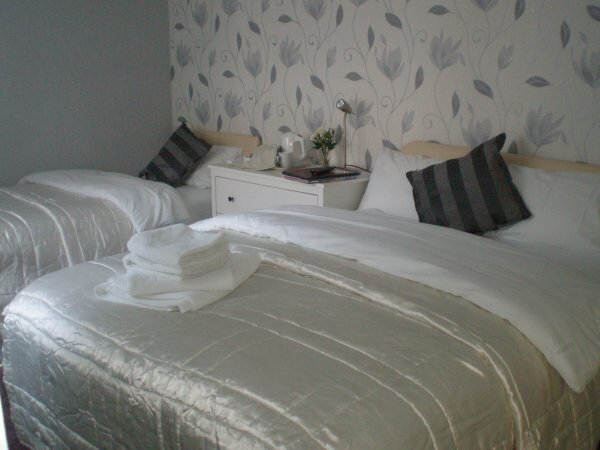 It is situated at the rear of the hotel making it a perfect quiet base for small families.